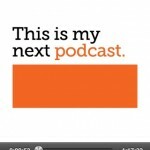 I first heard about Instacast when it started advertising on one of the podcasts I listen to. I believe it was one of Dan Benjamin’s podcasts on his 5by5 network, but I couldn’t find reference to it. 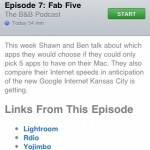 I was pretty excited to try the application out, I loved the idea of removing iTunes from the podcast equation. So, I downloaded the app and subscribed to all of my podcasts (except for Never Not Funny, more on that later). The application worked well and the podcast player was attractive, but after only using it for a day, I uninstalled it. My battery life seemed to be about an hour shorter than I was used to. I rarely hit the 20% mark at the end of the day, but using Instacast as my primary podcast player I was hitting less than 10%. 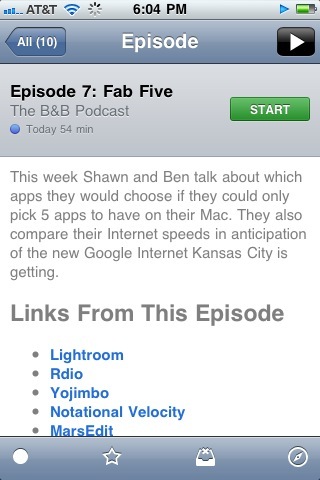 When I originally used Instacast I primarily streamed episodes to my device — probably not the best idea. 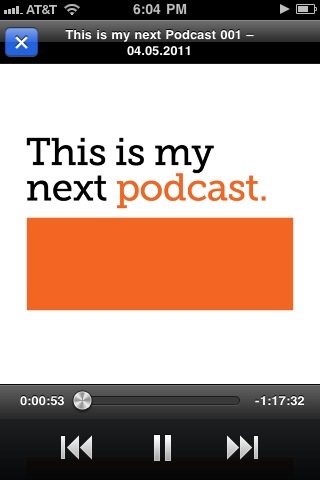 Another big downside to Instacast was that when I initially used it I couldn’t subscribe to Never Not Funny (or at least didn’t realize how to). Never Not Funny is a hilarious podcast hosted by comedian Jimmy Pardo and Matt Belknap, but it isn’t like your average podcast. In order to listen to entire episodes of the show you have to pay $20 every six months and subscribe to a premium feed which uses authentication. I’m not sure if Instacast had the functionality at the time, but I couldn’t find where to input a feed URL, username, and password so that I could use it to listen to Never Not Funny. I’m sure this feature existed but for some reason it just didn’t jump out at me at first. It’s likely because I imported all of podcasts from the iPod app and when I realized that the imported Never Not Funny episode wouldn’t let me subscribe, I simply gave up on it. So, without being able to subscribe to one of my favorite podcasts and barely being able to make it through the day on a charge I decided to uninstall the app and use the native iPod application for podcast playback. Using iPod meant that I would have to manually download each podcast episode from iTunes or sync my iPhone once a day, but since I had already been doing this for nearly 4 years it didn’t seem like too much of a hassle to me. And, this is how I listened to podcasts for the following weeks. 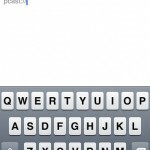 And then Instacast came to my attention again when Shawn Blanc wrote a wonderful review of it on his site. His review prompted me to reinstall the app and give it another shot. 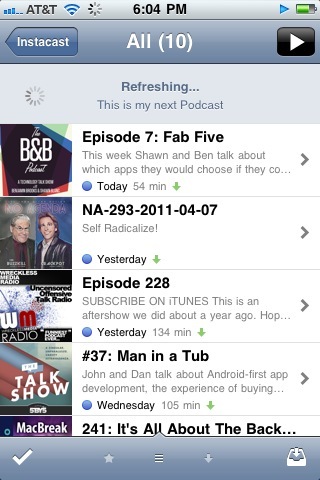 I subscribed to all of my podcasts again by importing them from iPod and added the remaining from Instacast’s directory. I then tapped the button in the upper-left corner to see what it did and was greeted with an “Enter URL” screen that let me subscribe to the private Never Not Funny podcast feed. Instacast asked for my Never Not Funny login credentials and it was ready to go. I decided to mark all of my podcasts as played so that I could quickly mark the most recent as unplayed and cache each of them to my iPhone. In settings I have turned off the icon badge, enabled auto caching over Wi-Fi, and turned off the shake to rewind 30 seconds. 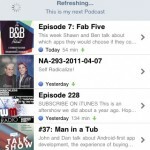 The subscribing process is tedious but Instacast makes it as painless as possible by allowing you to quickly import podcasts from the iPod application. The app checks to see what podcast episodes you have in iPod and then uses that information to find the podcast in it’s own directory. You still have to subscribe to each podcast individually but luckily you only have to do it once. Now that I had everything setup I was ready to live with it for a few days. Everything works perfectly. Because I decided to cache all of my episodes before listening to them, my battery life hasn’t been effected at all. I’m subscribed to all of my podcasts in Instacast and can now force it to check for new episodes using a Twitter for iPhone-style scroll to refresh mechanism that will automatically cache new episodes to my device when I’m on a Wi-Fi network. 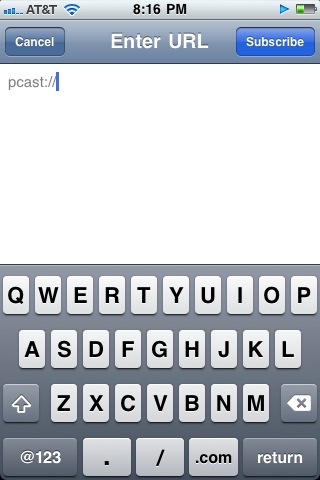 Instacast still isn’t perfect, there are a couple of downsides. I find myself going much longer without syncing with iTunes. This isn’t a big problem at first glance, but if I ever have to restore my iPhone, the backup might be older than I’d like and I may end up losing valuable data. I also, have a tendency to listen to podcasts in the living room on my Apple TV through AirPlay and the only way to do that is to turn on the system player in Instacast’s settings. This means I can’t use features of the application while listening to a podcast and I never get to see Instacast’s fancy-looking player. Overall I’d say Instacast is a great application, I still have some issues with it but hopefully they’ll at least implement AirPlay functionality soon. It may not be for everybody but if you listen to a lot of podcasts and aren’t a fan of syncing your device regularly, you might want to try it out.